Do you have ongoing stomach issues troubling you? You might have irritable bowel syndrome (IBS). Gas, bloating, or abdominal distention (increased abdominal pressure that causes the person’s stomach area to stick out). IBS is a chronic disease, and the severity of symptoms can come and go over time. It can significantly affect quality of life and, for some people, even the ability to work; therefore it is very important to discuss it with your doctor. Environmental factors, including food intolerance, infection, other causes of inflammation, or antibiotic use. Several different things can flare up IBS symptoms. Some foods containing lactose and sugars can trigger symptoms. (Lactose is in milk and other dairy products, and sugars are in many foods.) They can pull water into the intestines and cause diarrhea. Some over-the-counter treatments can make IBS worse. They include nonsteroidal anti-inflammatory drugs (NSAIDs, or pain relief medicines like aspirin and ibuprofen), antihistamines (a common medication for allergies), or supplements such as iron, magnesium, or wheat bran. Lots of prescription medications also can worsen IBS, including antibiotics, antidepressants, antipsychotics, diuretics, opioids, and metformin (a drug used to treat diabetes). Family history of cancer, inflammatory bowel disease, or celiac disease. Treatment of IBS is based on treating the person’s symptoms. In general, the most important treatments are not medications, but rather exercise and diet, and addressing stress or emotional/mental health disorders. Exercise causes more movement of the bowels, which improves symptoms. Diet changes can have a large effect. If a patient is sensitive to gluten, a gluten-free diet or a FODMAP diet (a diet low in fermentable carbs like sweets and starched foods) might help. A FODMAP diet limits the amount of poorly absorbed carbohydrates found in certain fruits, vegetables, and dairy products. Some patients who have IBS associated with chronic pain or psychiatric disorders should consider participating in counseling, or visiting with a psychologist. Sometimes, medications can help alleviate symptoms. For diarrhea, physicians often prescribe loperamide (like Imodium) or probiotics (good bacteria that aid digestion and maintain gut health). Probiotics can sometimes help with pain, bloating, or gas as well. For constipation, laxatives or fiber supplements can help. 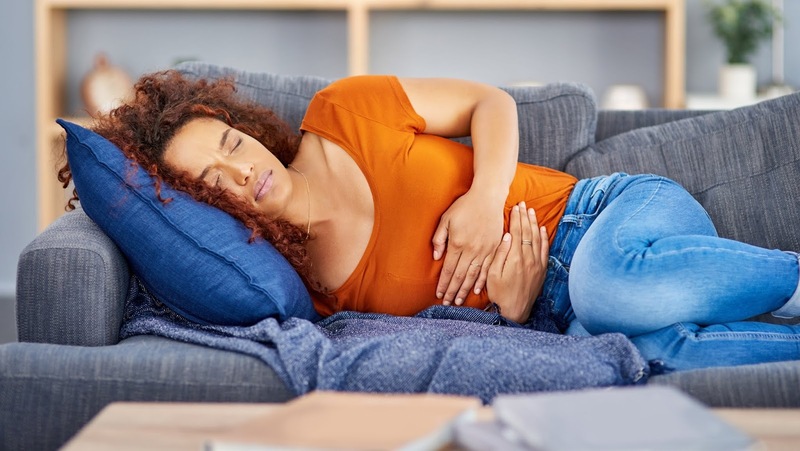 Sometimes ondansetron (a drug used to prevent nausea and vomiting) or antispasmodics (which relax the smooth muscles of the digestive tract) can help improve general symptoms. A physician might prescribe stronger medications like antidepressants when a patient with IBS also has psychiatric or chronic pain disorders, because these medicines can help alter the perception of pain and improve overall mood. However, the risk of side effects has the potential to outweigh the benefits of using these drugs, so the doctor might recommend them only if other treatments have not been helpful. For more information, I recommend reading this blog post about one woman’s personal IBS experience. If you are experiencing any stomach issues, and feel like they are affecting your quality of life, make an appointment with your primary care provider to discuss if any testing is needed, and what lifestyle modifications may be helpful for you.